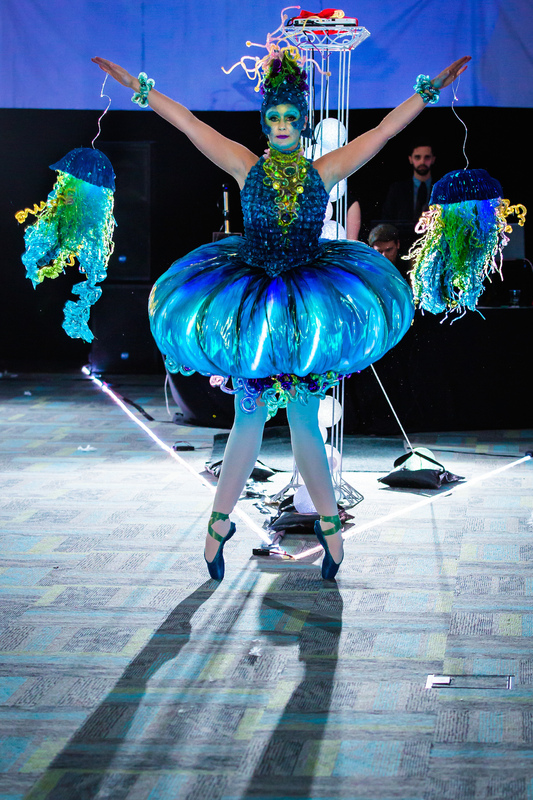 MakeFashion Spotlight is an insider’s look on our 2014 gala pieces. 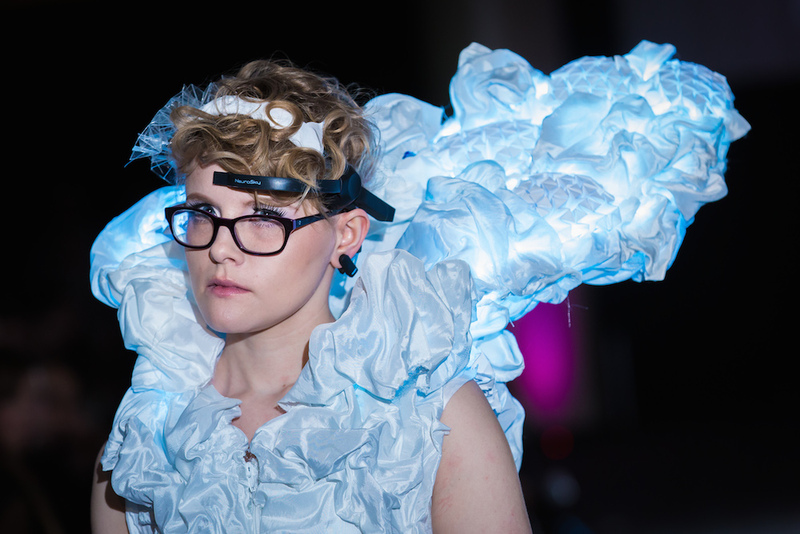 Follow us as we showcase each of our designers and the inspiration and technology behind their work. 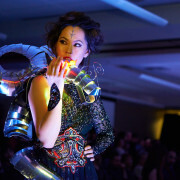 The Widow by Shannon Chappell (maker) and Kayna Hardman (seamstress) incorporates ultrasonics, vibrating motors, robots, and flex sensors to create a stunning and eerie garment. Common Experience. Photo by Edward Ross photography. 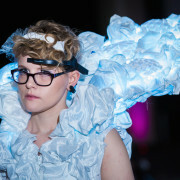 Dragon Queen is MakeFashion’s robotic wearable fashion. Celebrate is a fun ElectroFur dance costume. Medusa Fabulosa. Photography by Edward Ross photography.